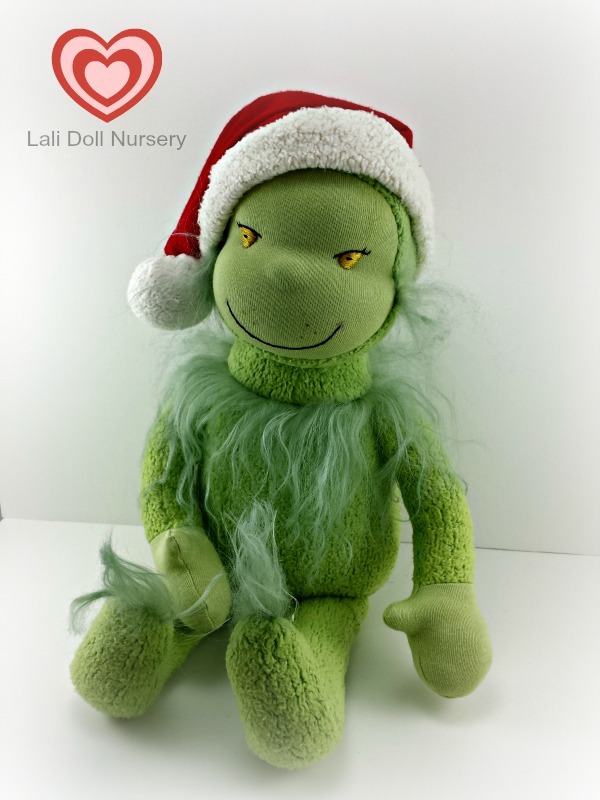 A Grinch doll for Christmas. This is a fun character to pull out with the Christmas decor every year. He’s about 18″ and made with natural materials. Stuffed with wool. He is available tomorrow night at 9pm ET in the “Doll Shop“.